I want to let you in on a secret. No matter what you do for a living, you can bring more spirituality into your work. You don’t have to be a life coach or yoga teacher to do this. I don’t care whether you’re a writer, a doctor, an assistant manager at a boutique or a marketing analyst! You can bring your spirituality into any job. When you begin each workday knowing that you are fully supported by your faith in the Universe, you will become more confident. You’ll speak up fearlessly, become more creative, handle difficulties with grace and get along better with your coworkers. In this post I’m sharing four simple ways to bring more spirituality into your work, no matter what your job is. One thing to keep in mind is that spreading your light is not the same thing as being a pusher. Be conscious not to push your spiritual beliefs and practices onto other people, especially at work. Stay committed to your faith and the Universe will take care of the rest. Trust that your energetic shifts will elevate everyone you encounter. 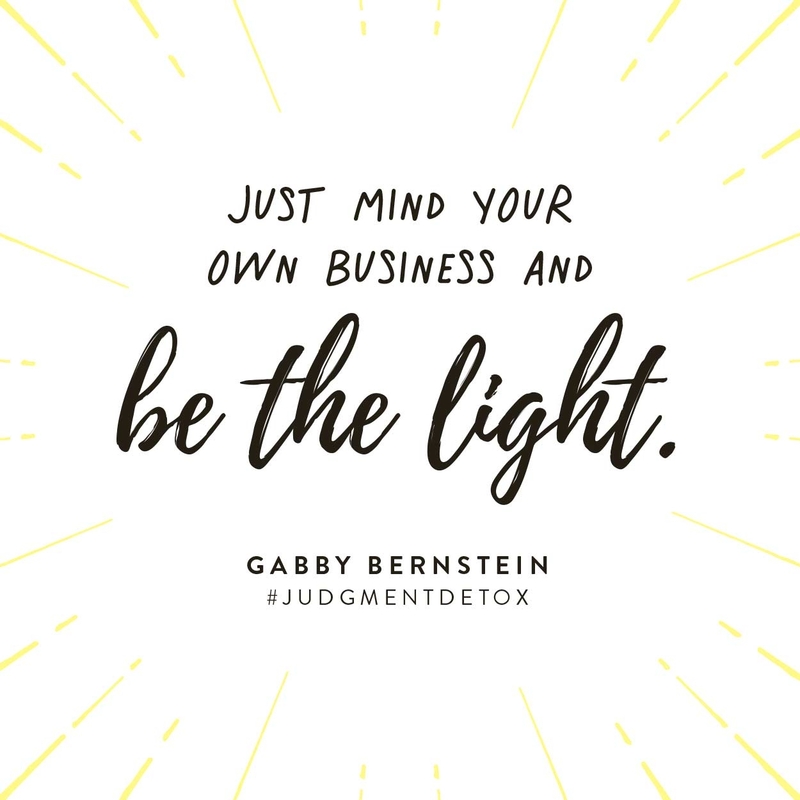 Just mind your own business and be the light! Follow these four tips to bring more spirituality into your work, no matter what your job is! You are supported by an ever-present stream of love. Lean on that support! I begin each day with a prayer, and I pray throughout the day. I can tell you from firsthand experience that committing to a prayer practice will completely transform the way you show up for your work. After saying this prayer, sit in meditation for a couple of minutes. Be open to receiving intuitive guidance during your meditation and throughout the day. In March 2018 I hosted a workshop called Bestseller Day with my editorial director, Katie. This was the first time we put on this event and the first time Katie had led anything at all. Normally she works from home, behind her laptop, so being in the spotlight was totally new to her! In the weeks leading up to Bestseller Day, she was extremely nervous about teaching in front of a group. Finally the day of the event came. Before we started, I led the group in a guided meditation. Katie closed her eyes and silently surrendered everything to the Universe. She surrendered her fear and surrendered her expectations. In her meditation she let it all go and invited spirit to work through her. And it did. Katie was lit up with joy and inspiration the whole time she was teaching. She was so happy that she practically floated out the door when it was over! This kind of emotional 180 is available to you whenever you need it. The next time you’re freaking out about a big meeting or some other high-stakes event, all you have to do is surrender. A few minutes of meditation is all it takes to surrender to the Universe! You can do this on the train, in your car, at a coffee shop or at your desk. Put on some calming music and let it go. Know that you are fully supported and guided. For more guidance on the five steps to spiritual surrender, watch my SuperSoul Sessions lecture and follow the practices I outline. Whether you have a private office or not, you can make your work space a more spiritual and inspiring place! One beautiful way to do this is by incorporating some feng shui elements. Clean air is important in feng shui. If you have the room, purify your personal atmosphere with some air-cleaning indoor plants such as a rubber plant or English ivy. The greenery will also help ground you by bringing some of the natural world indoors. Another way to make your work space more spiritual is by framing some of your favorite meditative mantras or posting them on your wall or cork board. 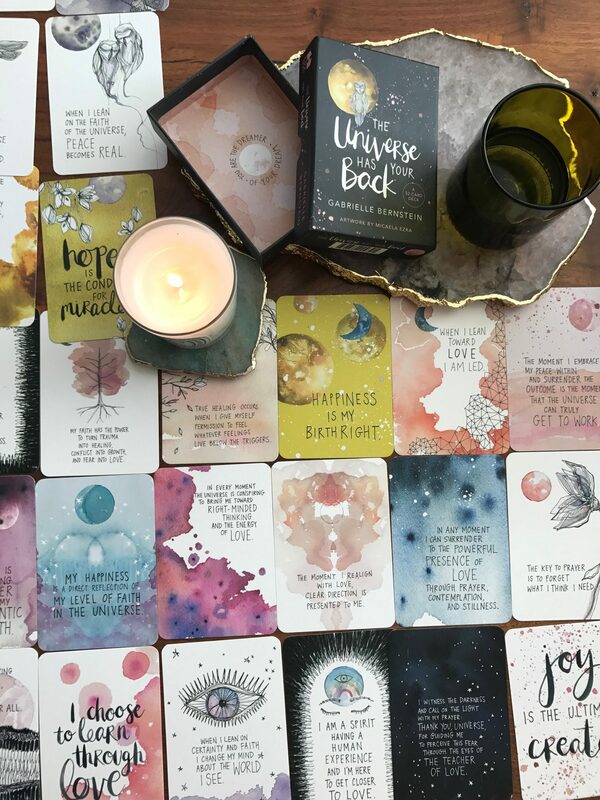 Choose your favorite card from The Universe Has Your Back Deck and keep it visible on your desk! If you have an office space, you can go even bigger! Make your office into a Zen den by adding things like bright pillows, a throw blanket, a beautiful crystal or an essential oil mister. One of my Spirit Junkie Masterclass alumni, Susie, worked in advertising for a fashion magazine. She made her office into a high-vibe space that instantly boosted her mood whenever she sat down to work. Her office was so inviting that soon her coworkers were dropping in for meetings and asking her about the cool spiritual stuff she had! Susie kept self-help books on her bookshelf and lent to coworkers. These small changes had massive ripple effects and made her whole team happier. You can even Zen out a work locker! Tape your favorite affirmations/mantras to the inside of the locker door. Place a small crystal on a shelf or hang mala beads from a hook. Use one of your breaks to meditate for a few minutes. This is really powerful if your job is public facing! When you are back on the sales floor or the phone, you’ll bring fresh new energy into your conversations. Working with other people can be both a blessing and a challenge. You likely have someone coworkers you consider friends. And there may be others who you resent or have trouble dealing with. One thing you can do every day to strengthen your relationships with your coworkers is to include them in your prayer practice. Before you start work, say a prayer for everyone you work with. Don’t leave out the people you dislike or resent! In fact, put them first. You can also use Step 4 of the Judgment Detox and practice seeing them for the first time. I recently had a situation where I was complaining about an independent contractor and the work that they did for me. I told their boss how upset and disappointed I was in the service I received. After the call I felt justified for a moment and then quickly felt ashamed. I realized that I could have expressed my disappointment with far less judgment and much more compassion. I could have said I was unhappy without getting into all the details as to why. I also felt like I added more negativity to the situation, negativity that could have been avoided. So rather than sit in my discomfort and shame I picked up the phone and cleaned up my side of the street. I called back and took ownership for some of the issues. Remember, whether you feel angry, resentful or annoyed at another person, ultimately what you are doing is judging them. So clean it up! You can always take ownership of your judgment. People will respond to this in different ways, but their response isn’t what matters. What matters is your commitment to love. By acknowledging your part you take a profound spiritual act toward clearing the energy. When you clean up your energy and intentions, the energy of the situation can be healed. 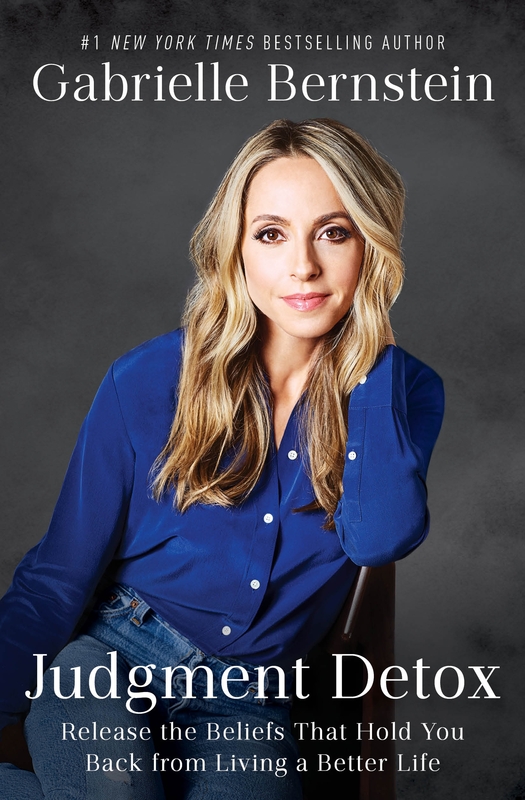 If you’re ready to bring more spirituality into your work or launch a spiritually rooted business, get on the waitlist for the Spirit Junkie Masterclass Digital Course! Spirit Junkie Masterclass Digital Course helps you strengthen your spiritual practices and your business skills all in one immersive weekend. 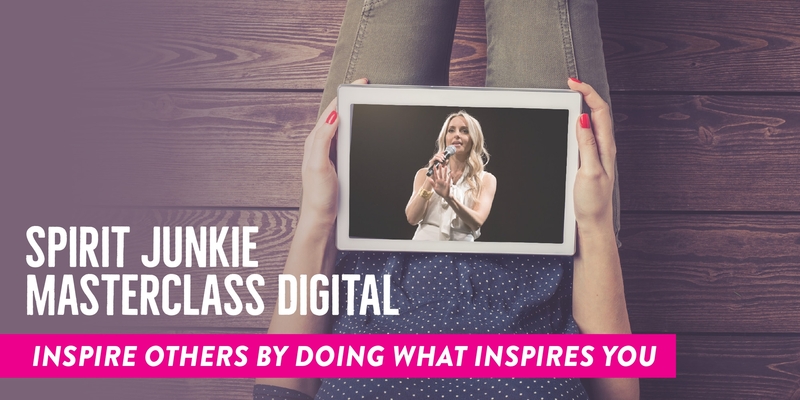 Whether you’re an entrepreneur, have a side gig or want to infuse your current job with more spirituality, the Spirit Junkie Masterclass Digital Course is for you. Great tips! No. 1, pray – is so simple, and yet so easy to forget! Thanks so much for this post Gabby! Extremely helpful! Just what I needed to hear today. Wonderful Chris! Sounds like divine timing. Thanks for sharing Gabby! Just what I needed to hear, per usual. Thanks…and happy Monday, Tuesday, Wednesday…! Hooray Cheri! Sending hugs your way. Love these suggestions. Thanks so much!! I love the suggestions. The peaceful, calm space I’ve made at home should absolutely carryover to my workplace! I’m there so much of the day. Seems obvious now. Thanks Gabby! I really needed this today. I have a big day tomorrow that I am really stressing about. I really needed this right now. I have a big day at work tomorrow, and I am really stressing out about. 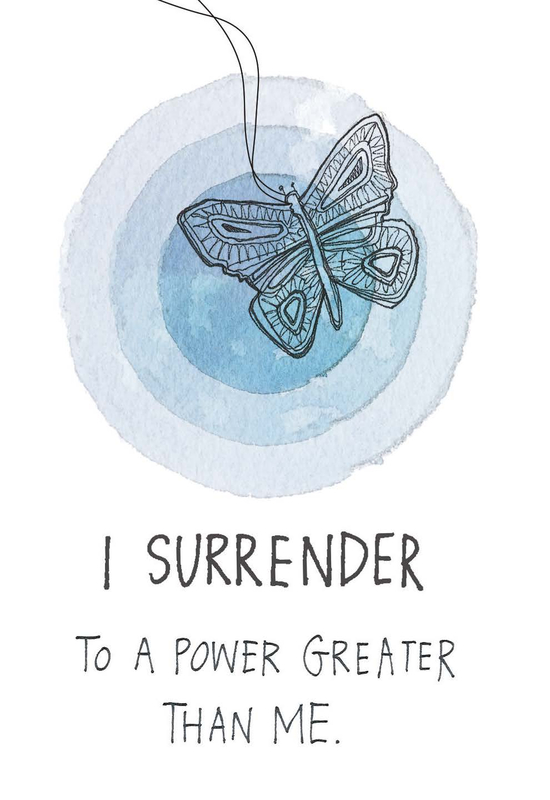 Surrender! Wanted to know if there was any scholarships available for hard ship situations….. I have seen them offered with other Presentations. This afternoon before reading this I was inspired with the message ”Be the light”. I choose to accept that and it felt great being more of my true self, positive and uplifting. So cool to rendezvous with the synchronicity here. Thank you for all the messages. Love them. Thank you for these useful suggestions! I was sitting at my desk today thinking about how I can bring more spirituality to work–and your e-mail arrived! See you next month in Toronto! Thank you for spreading the light!! Exactly what I needed this morning! I’m doing a few of these things already but want to learn more. I have a lot more work to do in trusting the process. I’m hoping to make it to your masterclass! I hope to see you there!! 🙂 Have you read The Universe Has Your Back? It will help you greatly in building your faith. It’s been such a tough work year. I have increased my meditation & yoga practice at home but never thought about taking some of it with me. I am excited to put these tips into practice. Thank you! I am so glad to hear this. Your spiritual practices and beliefs will support you everywhere you go, at all times. All you have to do is call on them. Wow Gabby. Here is my miracle. I started listening to the judgment detox and I prayed for bringing more ease into my work day. I am so glad to read this Blog, Its just what this business manager needed to hear, I was about to be critical towards one of my colleagues and whoop have now approached it so differently! Love love love… You’re a Triple G! (Gawjus Genius Gabby!). Plus I now will ensure I keep my morning office prayer as an important start to my day xo. Hi Gabby – the article gives very useful and effective tips and very important for people to make it as way of life in their day to day living…. Thanks indeed ! I love that you mentioned not holding onto resentment in the workplace. This is a great reminder for someone that is working on their spirituality. My friend would love knowing this as she gets some help with her life and spirit. Tqsm, I’m learning to surrender my fear now! These tips are really inspirational! I especially love the one about zenning out your desk. I’m gonna commit to making mine more authentic by decorating it with crystals, spiritual books, mandalas and more. Thanks!